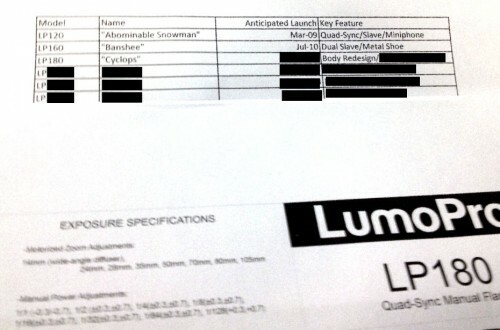 The successor to LumoPro's LP160 speedlight will be the LP180 Quad-Sync Manual Flash offering an unknown "key feature", according to internal documents seen by Lighting Rumours.? 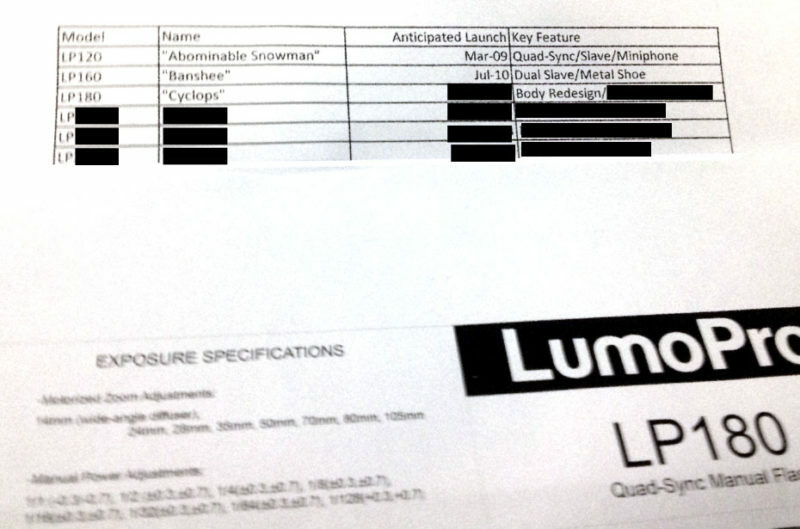 The successor to LumoPro’s LP160 speedlight will be the LP180 Quad-Sync Manual Flash, according to “internal documents” seen by�Lighting Rumours. An anonymous tipster � possibly an insider at the company or its supply chain � has submitted a photograph of what is claimed to be a roadmap for LumoPro flashguns and part of the instruction manual for the LP180. The purported leak comes two months after the�LP160 was officially discontinued�by LumoPro.�Though partially blacked out, the roadmap lists the LP180 and its supposed working title “Cyclops” after the now-defunct LP120 and LP160 flashes, which were apparently internally referred to at LumoPro as the “Abominable Snowman” and “Banshee”. 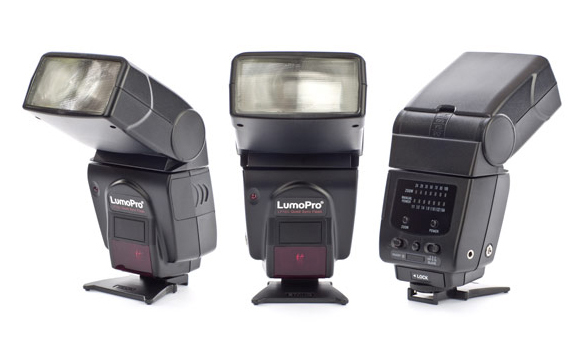 Each of LumoPro’s manual speedlights have earned a reputation for good value and utility for off-camera flash enthusiasts. The blurry half-page of the instruction manual reveals that the LumoPro LP180 will have a “mechanised zoom” head that can be set to 24mm, 28mm, 35mm, 50mm, 70mm, 80mm or 105mm focal lengths, plus a 14mm setting with the wide-angle diffuser. In the tagline, ‘Quad-Sync’ refers to the four ways you can trigger the flashgun: the hotshoe, the 3.5mm jack, the Prontor-Compur (PC) port and the optical slave cell. Other manufacturers have started to follow LumoPro’s lead (literally), with the Phottix Mitros and Yongnuo YN568EX both offering sync via common audio jacks, allowing you to get a new sync cord from your local electronics store or pound shop instead of having to buy expensive photography-dedicated PC cables. The LP180 being dubbed a “Manual Flash” lends little support to past�speculation�that LumoPro’s next speedlight would have automatic TTL metering. Instead, it will be adjustable from full to 1/128 power with 1/3-stop fine-tuning. That’s considerably more precise than the LP160, which could only go as far down as 1/64 power in whole stops. There will be a redesigned body shape and one more “Key Feature” written in the product lineup but the text has been redacted. Three more flash units to follow the LumoPro LP180 can also be seen in the table, but all names and features have been similarly blacked out. Might the LP-TTL be one of these? Unfortunately there is no mention of either a price or a release date. For reference, the LP160 sold for US$179.99 until it was discontinued. It is probably safe to say that, short of an official announcement at this point, we are unlikely to see the LumoPro LP180 in stock in time for Christmas.